Amanyara is a secluded beachside resort situated on the northwest coast of Providenciales in the Turks and Caicos. Its name combines the Sanskrit-derived word for ‘peace’ with yara, the word for ‘place’ in the language of the Arawak Amerindians. 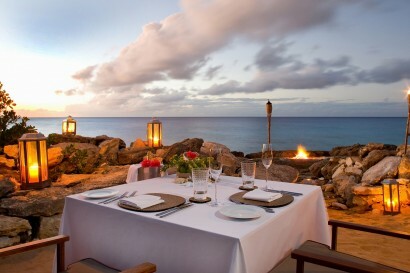 Amanyara borders Northwest Point Marine National Park, acclaimed for some of the world’s best wall and reef diving. 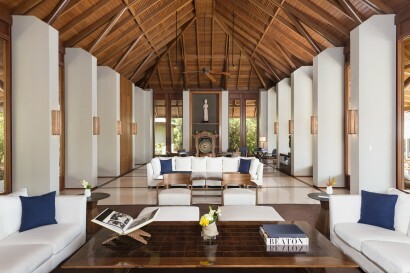 The property enjoys a contemporary layout and design, with an Aman Spa, Beach Club and Nature Discovery Centre. 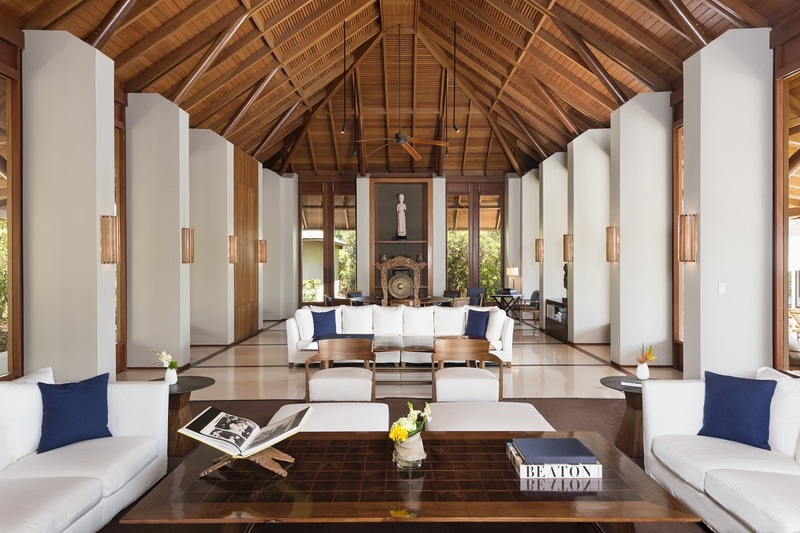 Thirty-eight timber-shingled guest pavilions and 20 villas are tucked along the coast or situated slightly inland overlooking tranquil ponds. The resort is located on an 18,000 Acre Nature Reserve in the Northwest point of the Turks & Caicos Islands, providing a secluded heaven and unique elegance. The property is located 25 minutes from Providenciales International Airport and 35 minutes from the Grace Bay area. Amanyara’s exceptional natural setting ensures no shortage of exciting outdoor activities such as scuba diving, snorkelling, fishing, turtle tagging, whale watching, watersports and golf. The Nature Discovery Centre offers daily activities for guests of all ages to explore the island’s natural wonders, with a full-time naturalist on hand. For Amanyara’s younger guests, there are daily programmes co-created by our naturalist and teachers from the American Museum of Natural History’s Science and Nature department. These include exploration safaris, nature-themed presentations, beach walks, scavenger hunts and turtle conservation, all focused on learning more about the islands’ indigenous creatures. For adults, our Eco Hikes and paddling excursions offer opportunities to learn more about the geology of the island of Providenciales, the dry tropical forest, the medicinal uses of native plants, and the many bird, reptile and invertebrate residents of the island. • Alcove Pavilions are also situated on the edge of tranquil ponds with a timber sun deck. • Ocean Pavilions provide dramatic views of the sea and are elevated approximately six meters (20 feet) above the waterline. 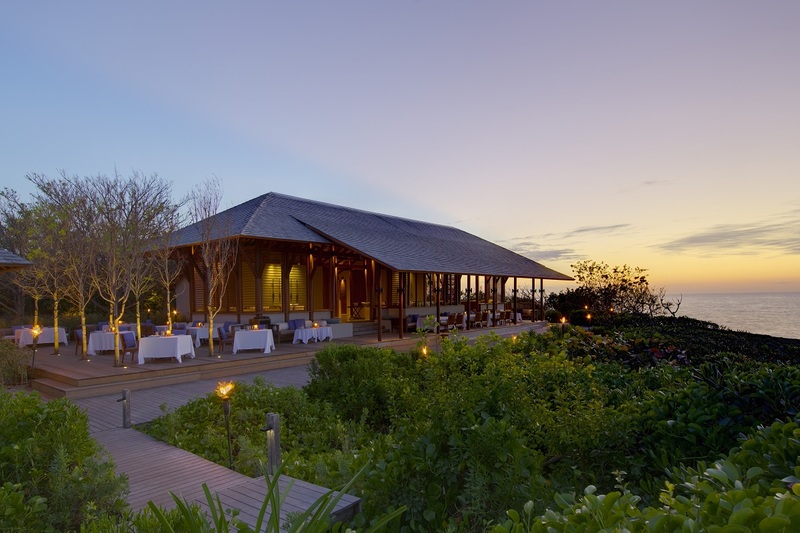 They feature pathways leading to the rocky Amanyara shoreline. • Ocean Cove Pavilions enjoys sweeping ocean vistas and direct access to a sandy beach cove. 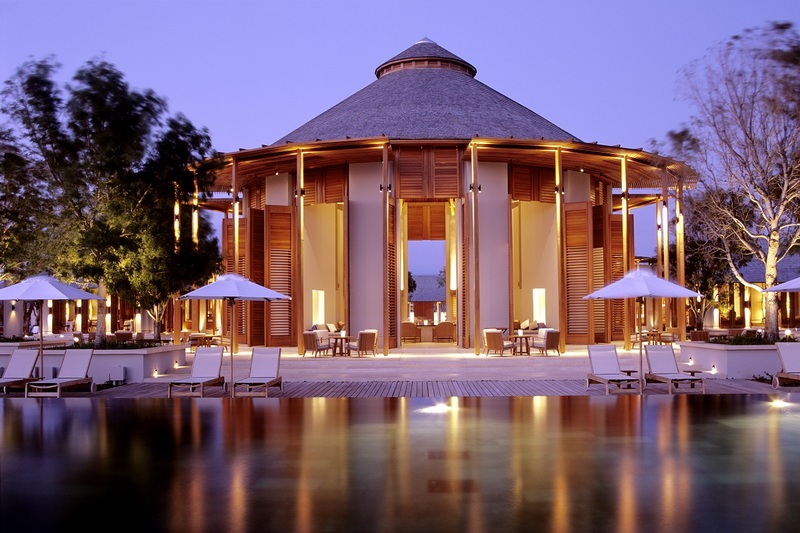 • Pool Pavilions feature a 12-metre infinity-edge swimming pool surrounded by teak decking and natural vegetation. 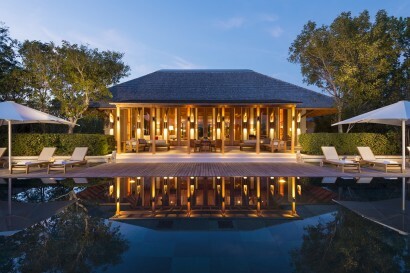 • Deluxe Pool Pavilions feature a dramatic 9 by 9 meter zero-edge pool centred within a 4,873 square- foot walled private garden, framed by Mahogany trees and teak decking. 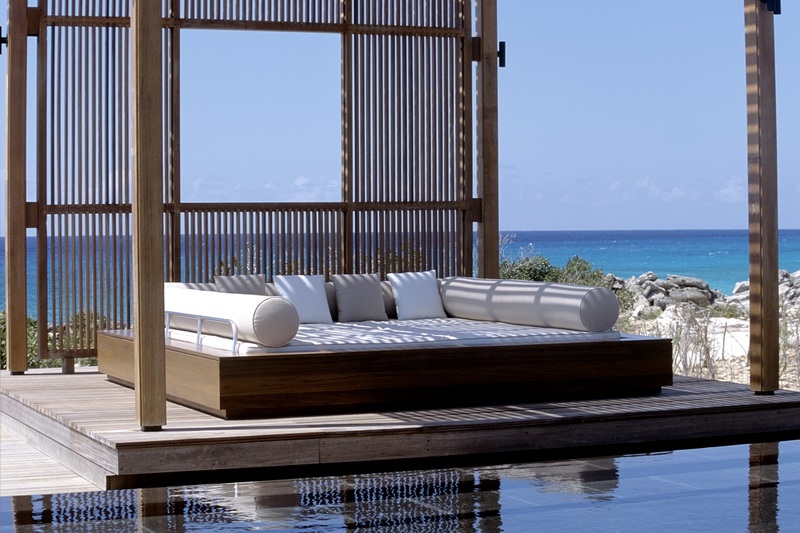 • The Amanyara Ocean Pavilion with Pool has the best of both worlds as it overlooks the ocean providing dramatic views of the sea, elevated approximately six meters above the waterline, but at the same time offers ultimate intimacy with its own private pool in the garden. • Pool Pavilion Suites comprise two bedroom pavilions artfully connected by a relaxation lounge. All accommodation is centred around the private 18-metre infinity-edge swimming pool and the naturally landscaped garden. Unique features include a personal gym, a pantry and nanny accommodation. • Tranquillity Residences are situated on the edge of tranquil ponds offering a sanctuary of privacy. • Ocean Residences are positioned along our iconic shoreline with views of the sea. 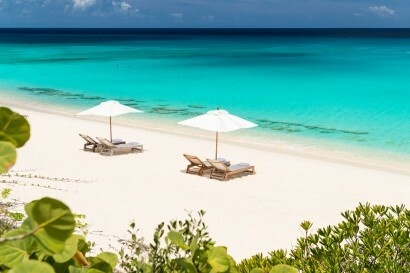 • Beach Residences have a direct access to crystal clear turquoise waters on our powder white-sand beach. 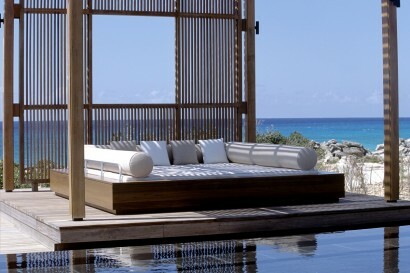 • The Amanyara Beach Residence has direct access to crystal clear turquoise waters on our powder white-sand beach. The residence encompasses 14,450 square feet of built-out luxurious space, and is centred by a rectangular infinity edged swimming pool in black volcanic rock from Java surrounded by extensive hardwood decking. The Restaurant provides a choice of dining settings. It is divided into two areas, one open to sea breezes and the other air-conditioned. The open setting leads down to a terrace with outdoor seating scattered beneath two large trees. Both areas have sweeping views of the ocean. The second area can be closed to provide air-conditioned dining in the hotter months, and also opens to an outdoor balcony that enjoys views across the central reflection pond. The menu focuses on classic Asian and modern Mediterranean dishes, with an emphasis on fresh seafood. The Bar is circular in design and features a soaring ceiling. It includes a central service bar with a number of oversized lounging daybeds on its perimeter. 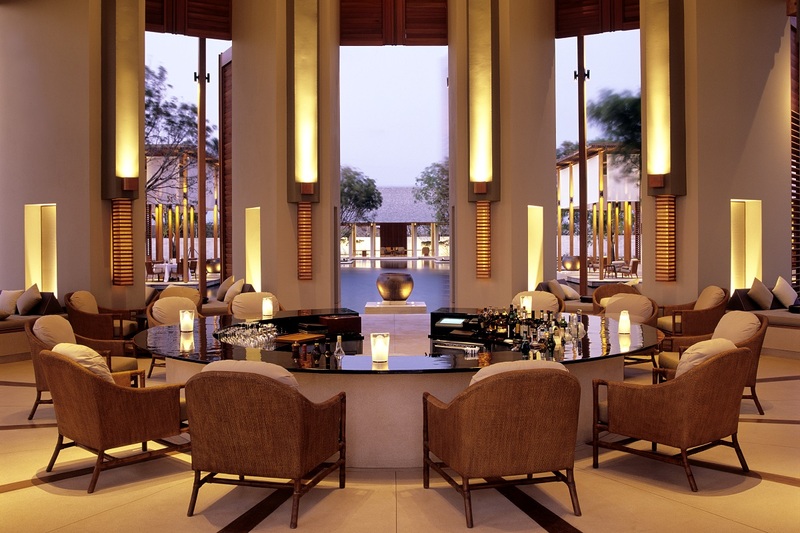 Leading from the Bar is a spacious terrace that provides informal dining throughout the day and more large lounging beds. Afternoon tea is served daily. The Bar is also the ideal venue for sipping exotic fruit cocktails or aperitifs while watching the sun set, or for enjoying an after-dinner cigar or nightcap. 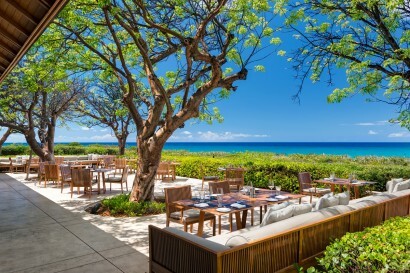 The Beach Club is a casual dining venue open throughout the day and most evenings when in season. Guests can choose to sit in the elevated interior, at the bar, or on the lower terrace which leads to an expansive timber deck. A simple menu combines the flavours of Asia and the Mediterranean with casual beach fare, showcasing dishes fired in a stone hearth oven. Afternoon cooking demonstrations paired with wine or rum tastings are held several times a year. 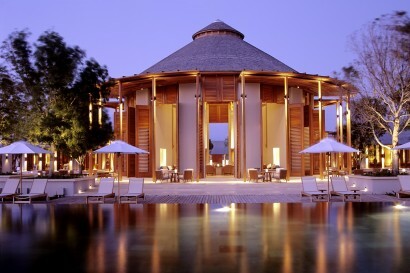 • The swimming pool is surrounded by an expansive timber deck and sun loungers, with uninterrupted views of the ocean. The pool is framed by two lounging salas which offer shallow entry to the pool. • The Fitness Centre overlooks the tennis courts and features a range of cardiovascular equipment and resistance training machines. Private Sessions can be arranged with a personal trainer. • The Pilates Studio is an extension to the Fitness Centre. A 375-square-foot studio provides group and private Pilates classes with a dedicated Pilates instructor. 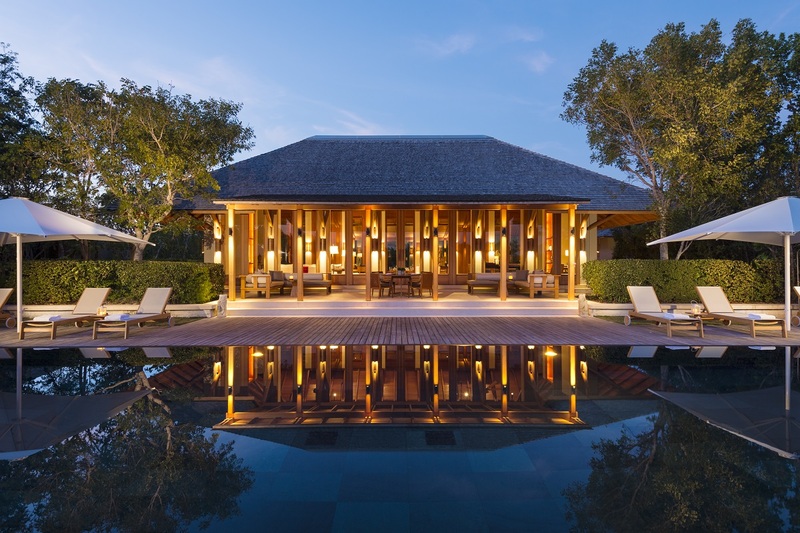 • Amanyara Spa and wellness facility borders a tranquil pond offering four double treatment pavilions, a reception area, relaxation pavilion with spa boutique, 10-square metre swimming pool lined with sun loungers, and an outdoor yoga sala. Amanyara offers a venue to suit every occasion and event, whether intimate or large. A dedicated team oversees every detail including the referral of photographers and other event professionals. 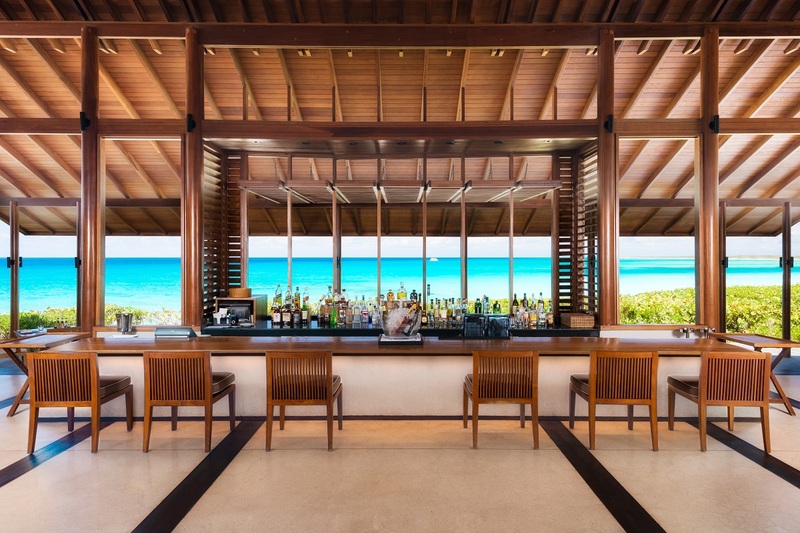 The Providenciales Golf Club is a 35-minute drive from Amanyara and is rated amongst the top 10 courses in the Caribbean. The 18-hole, championship course was designed by Karl Litten and opened for play in 1992.